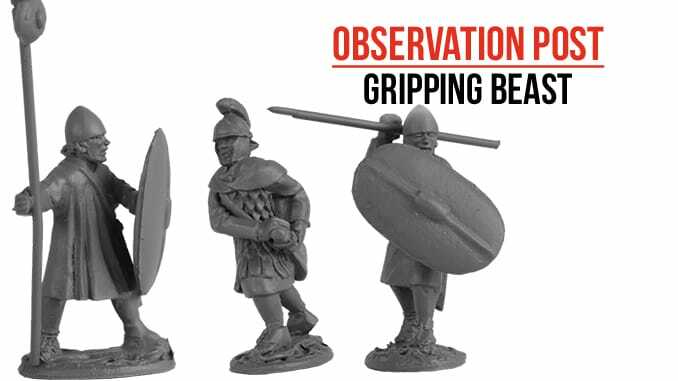 Gripping Beast have re-released their Ancient Libyan range after carrying out a great deal of work to refresh them. The ‘new’ figures are the result of having re-made the old moulds. As a consequence, the resulting casts are crisp and cleaner than they have been for years, allowing the high quality of the sculpts to shine through. Forming a part of the Punic Wars range, the Libyans are useful Carthaginian allies and the extent of the range (seen below) provides plenty of options for infantry, cavalry and (from the associated Carthage range) elephants.